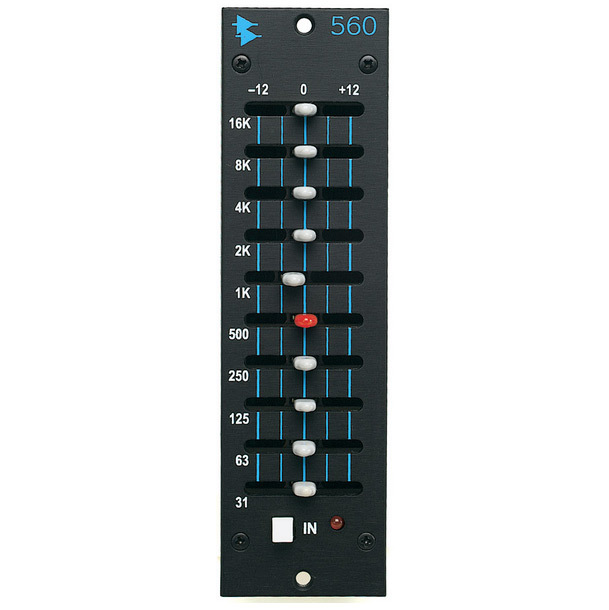 API 560 500 series mono 10-Band Graphic EQ: 10 bands of fully discrete API equalisation with 2520 and 2510 proprietary API op amps . Fully variable 12dB boost or cut per band, proportional Q narrows filter Q at extremes, centred détente, silent by-pass. An ideal creative companion to switched or parametric EQ and ideal for signal sweetening. API 560 Always on demonstration at THE STUDIO SHOP !